Lately, I've put the blah in blogging. I've been very bored with it, and just not fired up like I used to be. I think I've spread myself too thin in other aspects of my life and it's taking a toll on my blogging life. I think I'll be taking some time to myself here soon, so my posts might start to show up less and less for a while. To those who will notice, I apologize. The majority won't even notice, tho. 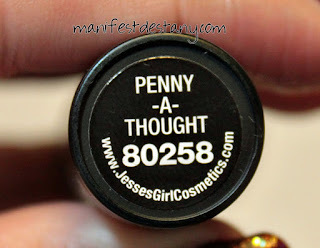 Today's post is on the Jesse's Girl lipstick Penny-A-Thought, which is indeed like its name - the color of a penny. I usually get 4-5 hours wear time with Jesse's Girl lipsticks, but this one only went 3 hours. I don't know why. 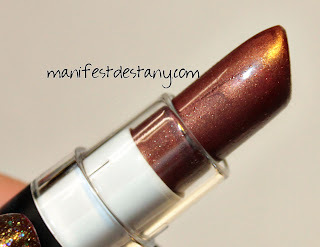 I don't know if I was exceptionally hard on my lips when I wore it or what *shrug* The rich coppery color matched my skintone very well, and the formula was great. So what do you think of this color? 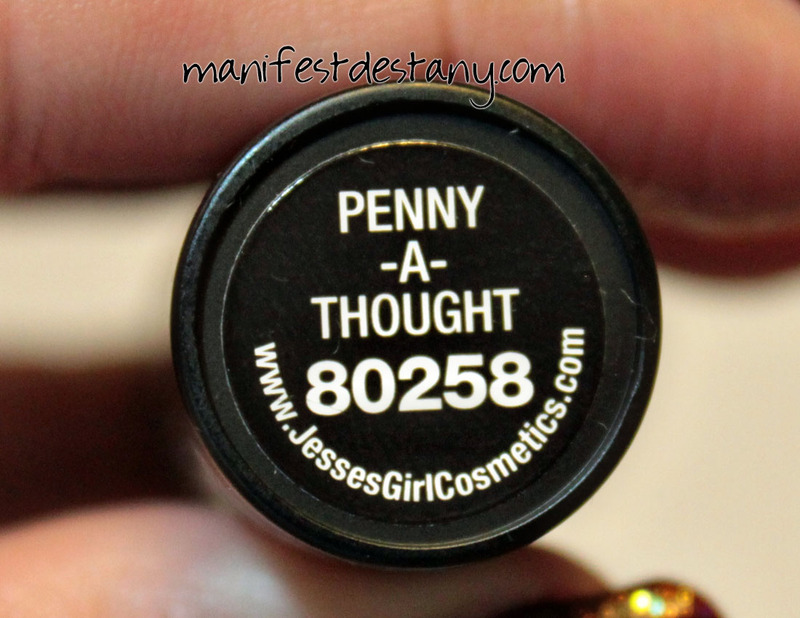 It's one of the gorgeous lip products from Jesse's Girl! The lipsticks retail for $3.99, and they are available on the Jesse's Girl website or at Rite Aid.